Discussion in 'Member/Unit Applications' started by Capitán Danny, Aug 17, 2018.
detomaso, cristhian1274, Pamir and 15 others like this. I'm very glad to see the 1st South American Infantry Division join PRTA. From what I've seen, these dudes come full of energy and with the desire to bring teamwork one notch up on the other side of the Atlantic. I fully endorse their application. detomaso, Temexter, agus92 and 4 others like this. detomaso, Temexter, Thomas Blackburn and 2 others like this. detomaso, Temexter and Thomas Blackburn like this. We want to enter PRTA because we notice that it is a well structured and solid community, which in a few words is what we are looking for. 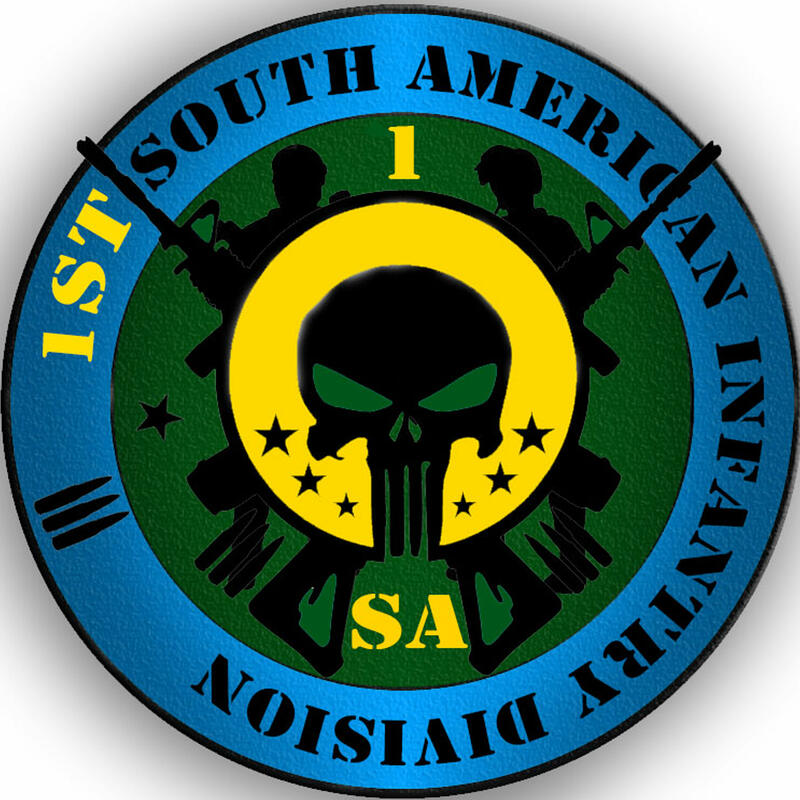 The 1st South American Infantry Division was created with the objective of bringing the Spanish-speaking military simulation to Project Reality, and based on that, it will continue to grow to provide an unforgettable experience to our members. detomaso, Temexter and Wicca like this. detomaso, Wicca and Temexter like this. Well damned be I, took me a while to get a new password for my acc. Gib adhesion, blessed be Terry. detomaso and Temexter like this. Jumbo, Temur and Camel like this. we need your image logo as a .png on transparent background. We also need a ts logo in 16x16 8kb file size .png on transparent background. I can downsize your unit logo and use that, after you have given me the image in the aforementioned format. Wicca and Jumbo like this. Wicca requested the required image+icon from our media team aka supercas240. You can see his work on your fresh and new unit roster or on teamspeak (you all should see the 'punisher' unit icon in your server group now). Do you like that and do you want to go with it? One last thing. Checkout the roster page of foxtrot or those of some other units. They usually have brief unit introduction text on their pages. To present your unit to prta and the wider pr community, you might want to consider writing a similar text for your own unit. It's a great way for you to advertise yourself and your unit and to set a mark. Like this is who we are and that is what you can expect from us. Just imagine some random guy browsing through the units on prta, finding your unit, reading the awesome introduction you might have written then and immediately applying for member because of it. The roster page is your platform, your forum to the outside world. I can only recommend to use it to its best abilities. Wicca and Camel like this. did you think about sending me a unit description? I think you should ask Matayo , Desert Fox or Arlequin. Cheers Camel. I just saw your 'hint' in personal changes forum. Marked as done, any text required in roster will be handeld by the Community department and with SAID leaders. detomaso and Camel like this.